They used to steal jewellery from women, posing as policemen, running up cases in 34 different police stations in Bengaluru. They are now off the streets. 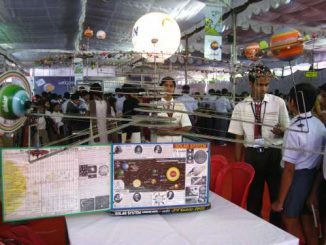 With Agastya Foundation’s single minded focus on hands-on science education, their ongoing science fair is a must for all young ones. On till December 3rd. An initiative to segregate waste was launched at the Russell market recently. This was a joint effort by BBMP and the SWMRT, a citizen’s forum. Government organisations point fingers at each other while residents struggle with pot holes, sewage fountains and broken limbs. T P Kalaisam’s play explores the problems of self-esteem in a performance oriented society. Activists from the pro-Kannada outfit Karnataka Rakshana Vedike threatened to ransack Printo at the city centre this week and encountered resistance for a change. Harry Potter and The Deathly Hallows is a good adaptation of Rowling’s book, but Sanjay Leela Bansali’s Guzaarish fails to weave a spell.